Alex makes his first career MLS start in a bit of a surprise, leaving the highly touted signing Magnus Wolff Eikrem on the bench for now. 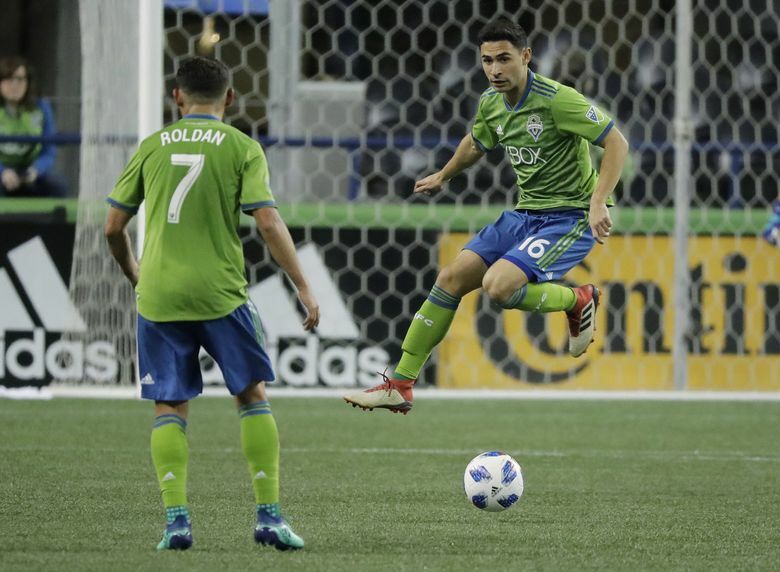 It was already known the Sounders would be counting on younger players to step up and help their depleted ranks for Sunday’s game at Sporting Kansas City. But the lineup just put out by coach Brian Schmetzer contains a bit of a surprise: midfielder Alex Roldan, out of Seattle University, making his first career MLS start, at left wing in the same midfield as his brother Cristian. They are the seventh brother combination in Major League Soccer history to start a game together for the same team and the first since Jona and Jonathan dos Santos did it last season for the Los Angeles Galaxy. Handwalla Bwana is starting out on the right wing, centered by Nicolas Lodeiro. What makes this even more surprising is the Sounders have opted to start the younger Roldan while keeping Magnus Wolff Eikrem on the bench for now. Eikrem was a highly-touted signing back in January but has struggled with inconsistent play since a strong Champions League match against Santa Tecla FC of El Salvador more than a month ago. Nouhou gets the start at left back and it turns out that veteran Waylon Francis won’t even back him up as he’s come down with a hamstring injury. Things going from bad to worse for a team already missing Harry Shipp to an ankle problem, Kim Kee-hee to a torn calf muscle that will likely keep him out several more weeks, Victor Rodriguez to a quad injury and Clint Dempsey and Kelvim Leerdam to suspensions. Osvaldo Alonso is dressed and ready to play for the first time all season. Look for him to get some second half minutes.